As you already know there are many different weight loss plans on the market. As a matter of fact there are over 4000 diet and exercise books in print and they all seem to contradict each other. High fat, low fat, eat this, eat that… People are confused to say the least. At Get You in Shape, we teach our clients that nutrition and supplementation account for 70%-80% of your progress when fat loss is the goal. The problem is that most focus on the exercise program only and don’t spend enough time learning what works with nutrition and supplementation. If you have been frustrated with diets in the past you are in the right place. 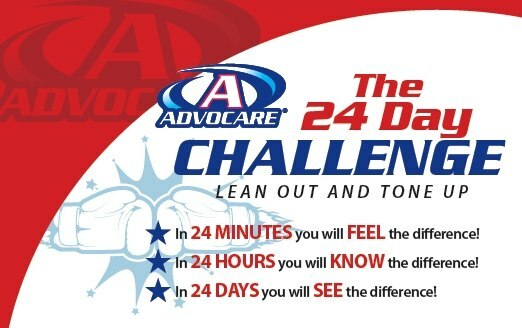 Your frustration is over… Get You In Shape have been using a program called the 24 Day Challenge with amazing success. The average person is losing 8-10 pounds and 9 inches in their first 24 days, that’s average some are doing more. Let me be clear on one thing…this is not a diet. “Eat less to lose weight” doesn’t work. Diets have you feeling tired, hungry and so crabby that no one wants to be around you. We focus on feeding your body high quality nutrients that “feed muscle and starve unwanted body fat.” The best part is the 24 Day Challenge is a system. If you follow it step by step you will be successful. 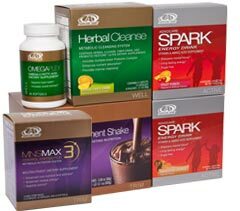 I was introduced to AdvoCare by a dear friend in November of 2011. At that time I was in great financial stress. With my oldest son applyingfor colleges and one more teenage son at home, life was not going to get any less expensive. I needed a miracle in my life to help me from disaster.The first time I put Spark in my body I knew this product would change my life. After months of my friend telling me about the company, I finally investigated the company myself and I was blown away by the foundation of AdvoCare. Not only were some of the endorsers non-paid entertainers that I knew and respected I discovered the heart of the founder Charlie Ragus. Charlie had a list of principles that he built the company around and after reading the first three, I knew I wanted to be a part of the AdvoCare team. • Honor God through our faith, family and friends. • Respect and strengthen the family.